Actor Anupam Kher says he couldn’t care less about adverse reviews to his latest film “The Accidental Prime Minister“, based on former Prime Minister Manmohan Singh‘s life. “No matter what you do, there will be people trying to pull you down. Criticism was always a favourite national pastime. Now film criticism has also become a big source of self-entertainment for Indians. I don’t take criticism or the film criticism to heart. Finally, it is just one man or woman’s opinion. 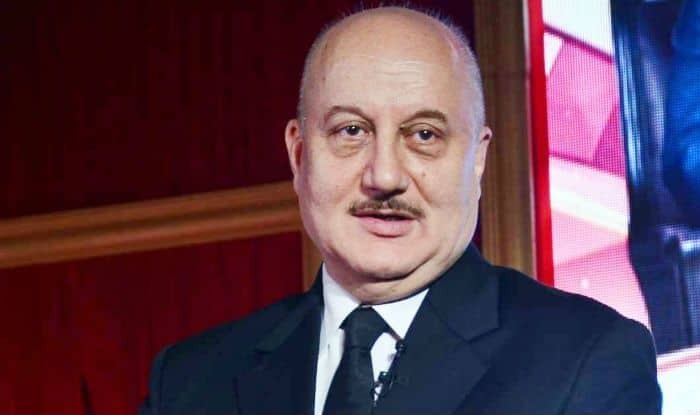 And I’ve seen enough glowing and glowering reviews in my career to take both in my stride,” Anupam said before leaving for a three-month trip abroad. What has surprised Anupam quite a bit is the scathing criticism levelled at his portrayal of Manmohan Singh. “It seems some critics have a much larger political agenda than what I am supposed to have. The comments are uncalled for and irrelevant. I wanted to portray Dr. Manmohan Singh with the dignity and grace that he deserves. And I think I’ve succeeded in that. Grant me at least that bit of experience and wisdom as actor,” he said. He will be in the US for the next three months to shoot a new season of the series “New Amsterdam”. “I play one of the leads, an Indian doctor named Vijay Kapoor. It is one of the most popular serials played across the world. I am setting aside my next three months fully to the series, with no other digressions,” said the veteran actor. Anupam’s closing thoughts on the reviews of “The Accidental Prime Minister”? The film minted Rs 4.5 crore on its opening day on Friday and on Saturday it minted it Rs 5.45 crore. This, when there was disturbance in the film’s release in the East India region. How does Anupam explain the encouraging opening despite some poor reviews?